Super Eagles striker Odion Ighalo is expected to play a part in Changchun Yatai’s Cup clash against Nei Mongol Zhongyou FC on Tuesday at the Hohhot City Stadium, reports Completesportsnigeria.com. 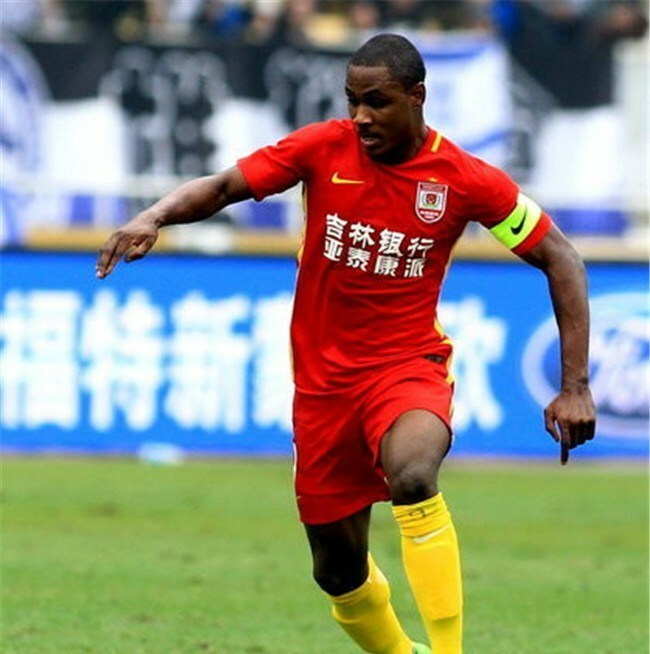 Ighalo, who suffered a knock on his ankle in Changchun Yatai’s 3-2 loss to Shanghai Shenhua a fortnight ago in the Chinese Super League, trained with the rest of his teammates on Monday. “I trained well and I hope to play in Tuesday’s game,” Ighalo told Completesportsnigeria.com. The Nigerian forward has scored twice in five league appearances for his new side. Also, Obafemi Martins’ Shanghai Shenhua will be aiming for their third straight win when they face Chinese League One side Yunnan Lijiang away at the Lijiang Sports Development Center Stadium in a Cup game on Tuesday.